Edward advises on commercial disputes of all kinds, in particular those with a public or private international law element, and has appeared as sole counsel in the Court of Appeal, High Court and in arbitration. His current and recent work includes acting for the claimant investors in a highly confidential BIT claim; representing a major national oil company in a US$500+ million UNCITRAL arbitration in a wide-ranging dispute under a drilling services contract and representing a Turkish energy company in a claim under the Energy Charter Treaty and the Turkey-Uzbekistan BIT. Edward was named by Legal Week as one of the “Stars at the Bar 2016”, and was described as “probably one of the best brains at the junior Bar”, “responsive, bright and easy to deal with” and with “a keen sense for litigation strategy that belies his call”. In 2017 The Lawyer Magazine placed Edward in its “Hot 100”, an annual list of the magazine’s top 100 UK lawyers which aims to recognise extraordinary lawyers who have completed ground-breaking work in the past 12 month. 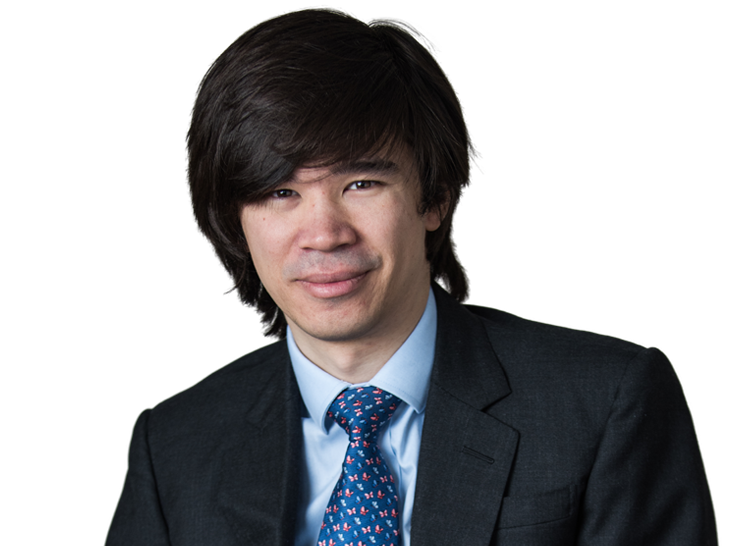 Edward is identified as a leading junior in International Commercial Arbitration by both Chambers & Partners and the Legal 500, and was shortlisted for International Arbitration Junior of the Year in the Legal 500 Awards 2018. Representing the Islamic Republic of Pakistan in a dispute concerning the sale of gas power turbines to a Pakistani research lab allegedly involved in secretive nuclear weapons development. The case raised significant issues of state and diplomatic immunity. An LCIA arbitration acting for a Ukrainian businessman. The proceedings concerned a US$50+ million dispute under a financing agreement and involved a heavy application to discharge a world-wide freezing injunction. Representing (unled) a major clothing brand in an urgent application for injunctive relief against a well-known celebrity following an alleged breach of an exclusive endorsement agreement. Acting on behalf of a leading developer of online video-on-demand platforms in a multi-faceted dispute concerning the delivery-up of source code and related claims and counterclaims for breach of contract. Acting for the excess insurers in a $25 million Bermuda Form arbitration concerning claims by an insured drug company following their settlement in the USA and Nigeria of mass tort product liability litigation. Advising upon a wide range of issues (including unlawful means conspiracy, unjust enrichment and mistake, and the fraud exception to privilege) arising from the termination of an exclusive distribution and licensing agreement between Hong Kong and English wine merchants. Acting for the H&M insurers in a claim by the insured following the seizure of the insured vessel by pirates. An LCIA arbitration acting for the majority shareholder in a shareholder / joint venture dispute raising issues of unfair prejudice. An LMAA arbitration arising from the contamination of cargoes of sulphuric acid with mercury. Acting alone for the claimant in a Hong Kong seated arbitration for the recovery of management fees due from a construction project in Clearwater Bay. Advising on a finance dispute arising from a German KG financing structure. Advising defence companies in a number of confidential/classified matters concerning (by way of example) the sale of intelligence gathering equipment; the sale of radar components; and the development of an IT system for a government department. Advising and acting alone for the Claimant in a claim for the advisory fees due following the sale of a JMW Turner painting. Federal Elektrik Yatirim ve Ticaret A.S. and others v. Republic of Uzbekistan, Case No. ARB/13/9 (ICSID) – Edward acted for the Claimants in an ICSID arbitration against Uzbekistan seeking millions of dollars of compensation under the Energy Charter Treaty and the Turkey-Uzbekistan bilateral investment treaty. Edward cross-examined a number of factual witnesses and one expert in the course of the two week hearing. Edward acts for the claimants in a highly confidential on-going dispute under a BIT concerning, amongst other things, the expropriation of investments by the Respondent state. Acting for the Claimants (led by Neil Calver QC and Stephen Midwinter QC) in a US$1 billion+ deceit claim arising from misrepresentations allegedly made by the Claimant’s former business partners during the sale of the Claimant’s share in one of Ukraine’s largest industrial corporations. The Defendants have made a number of wide-ranging counterclaims which include allegations of conspiracy, dishonest assistance and breach of trust (under both English and Ukrainian law). Acting for one of four defendants (led by Thomas Plewman QC) in a dispute concerning the collapse of the claimant company (a developer of autonomous underwater drones and mobile sensors for use in the oil and gas, and defence industries). The Claimant seeks approximately US$180m in damages and has advanced claims which include dishonest assistance, conspiracy (lawful and unlawful means) and intentionally causing harm by unlawful means. Acting for one of Romania’s wealthiest men in relation to the discharge of a worldwide freezing order (with Mark Howard QC and Joanne Box). Edward was instructed on various parts of the BTA Bank v Ablyazov litigation (one of the largest pieces of litigation then before the Commercial Court) – including Pukhlikov v. Ablyazov & Another, concerning the purchase and ownership of an oil and gas trans-shipment facility and port in northern Russia; and JSC BTA Bank v Ablyazov & Ors  EWHC 2500 (Comm) a complex application for security for costs. An LCIA arbitration acting for a Ukrainian businessman in a US$50+ million dispute under a financing agreement. The matter raised claims of illegality and deliberate asset stripping. Acting and advising on a range of confidential interim applications spanning injunctions to prevent the replacement of a company's director following his physical intimidation, to freezing injunctions and preservation of property orders to resisting the continuation of a passport delivery up order and the granting of an electronic quasi-search order. A five-week, LMAA arbitration concerning the construction and sale of two semi-submersible drilling rig. The dispute involved a wide range of issues including allegations of misrepresentation, deceit, delay and breach of contract. Representing a major national oil company in a US$300+ million UNCITRAL arbitration in a dispute under a drilling services contract. Representing the Claimant financier in a US$40 million+ LCIA arbitration arising under a trade credit and supply agreement related to the operation of a tank farm and refinery. National Iranian Oil Company v Crescent Petroleum Company International Ltd & Anor  EWHC 510 (Comm): Edward acted for NIOC in a substantial s.67 and s.68 Arbitration Act 1996 challenge. CH Offshore Ltd v PDV Marina SA & Ors  EWHC 595 (Comm): Acting for PDVSA Petroleo SA on an application challenging the jurisdiction of the English court to hear an approx. US$90 million claim arising under a Services Contract for the supply of two AHTS vessels & a platform supply vessel. Tedcom Finance Limited & Another v. Vetabet Holding Limted & Others  EWCA Civ 191: Edward appeared alone in the Court of Appeal for the successful appellants on an urgent without notice appeal concerning the service of arbitration claim forms outside of the jurisdiction. Prior to joining Chambers worked as a research assistant at the British Institute of International and Comparative Law and co-drafted seven chapters for R. Plender & M.Wilderspin, The European Private International Law of Obligations, (3rd ed., 2009). Edward also sat as a Co-Rapporteur on the International Law Association's Committee on Civil Litigation and the Interests of the Public. The Committee studied the private international law aspects of civil litigation for human rights violations. An LMAA arbitration acting alone for the Claimant buyers in a three day trial for damages following the non-delivery of a vessel under a ship-sale contract. An ad hoc ship sale arbitration raising issues of frustration and the assessment of damages. An ad hoc ship sale arbitration raising issues as to the physical and legal readiness of the vessel for delivery. An ad hoc US$40+ million shipbuilding arbitration, acting for the Claimant yard following the termination of four related shipbuilding contracts. An LMAA arbitration concerning liability for the carriage of deck cargo following shifting after adverse weather conditions. A series of related arbitrations concerning the laytime and demurrage consequences of a national and local transport strike at a Spanish discharge port. ED&F Man Sugar Ltd v. Belmont Shipping Ltd.  1 Lloyd's Rep. 206: Edward acted alone for the respondents in a s.68 Arbitration Act 1996 challenge in which the appellant unsuccessfully sought to establish an obligation on arbitrators to bring un-argued points to the parties' attention. Various confidential appeals/challenges under s.67, 68 & 69 Arbitration Act 1996, confidential applications under s.44 AA 96 (interim relief) and s.70(7) AA 96 (payment in of award debt). In April - June 2009 Edward undertook a research internship at the Hong Kong International Arbitration Centre and amongst other things worked on examining the implications of the Hong Kong Arbitration Bill 2009 enacting the UNCITRAL Model Law (as amended in 2006). 'Civil Litigation for Human Rights Violations', ILA Committee on Civil Litigation and the Interests of the Public Interim Report, August 2010. Co-drafted chapters for R. Plender & M.Wilderspin, The European Private International Law of Obligations, (3rd ed., 2009) on the choice of law rules governing assignment (Rome I), product liability, unjust enrichment and negotiorum gestio (Rome II), public policy and mandatory rules and the scope of the Rome I and Rome II Regulations.